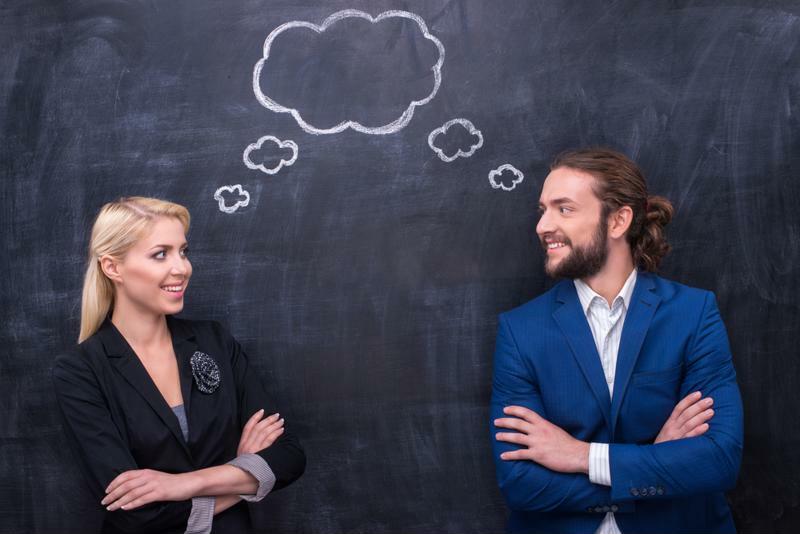 ﻿ Exercising empathy for better leadership | Situation Management Systems, Inc. When you think of all the important qualities a leader must have to be successful in the workplace, empathy may not be one of the first that comes to mind – and understandably so. When it comes to leading other people and warranting a certain level of respect, you need to be influential, strong, confident, communicative, strategic, etc. But not all the skills required for effective leadership are about demonstrating your personal power. It also involves embracing the quieter, more humble side of your personality as well. Many people make the mistake of assuming empathy and sympathy mean the same thing and that they can be used interchangeably. The latter implies that the feelings or emotions someone else has are ones you share, especially if it involves pity or sorrow. "Being able to effectively listen and respond is one of the most important leadership traits." Being empathic is different. It involves putting yourself in someone else's shoes and actually understanding and internalizing where they are coming from. As published author and leader development expert Richard Wellins put it in an interview with Forbes Contributor Kathy Caprino, "Empathy is really about being aware of and even experiencing the feelings and thoughts of others. It often involves taking on the perspective of those you are talking with. It is important to note that empathy is not just feeling." Leaders have to make tough decisions. But being in a position of power does not mean these choices can't be made without considering the effect it will have on others. In fact, harnessing the ability to do this is what can differentiate mediocre leaders from truly great ones. The Wall Street Journal reported that some major organizations, such as Ford Motor Co. and Cisco Systems, are investing in empathy education for employees. Currently, 20 percent of U.S. employers offer this kind of development training to managers. And the top 10 businesses among 160 in a 2015 Global Empathy Index survey revealed that these businesses generated 50 percent more net income per employees than the bottom 10 companies did. Plus, the source added, research has shown that being able to effectively listen and respond to others is considered one of the most important traits for bosses to have. The benefits of being an empathetic leader are easier to understand once you consider how critical communication is in the business environment. To be an effective leader, you need to be a good listener. Practicing empathy can not only help you build relationships that are more conducive to the workplace but also improve productivity and performance, increase engagement and aid in the overall corporate culture. It's one thing to acknowledge that empathy is important or to even gain a comprehensive understanding of the essential role it plays in the business environment. What is more difficult is getting honest with yourself about exactly how empathetic of a leader you actually are. 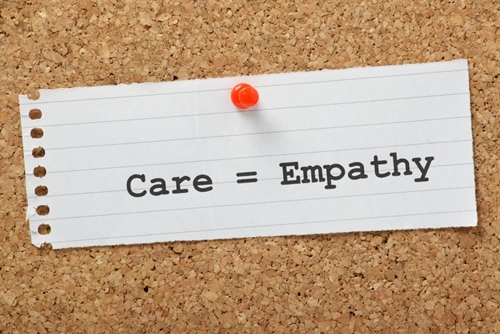 Empathy plays a pivotal role in both personal and professional communications. In the Forbes article, Wellins explained that his research has found that empathy skills in people today are actually deteriorating. There are many different factors that could be contributing to this; but it's safe to assume the rapid proliferation of digital technologies and devices has led to fewer in-person interactions and conversations, which can limit our ability to empathize with others. It would serve business leaders well, then, to try to increase the number of conversations they have with employees face-to-face. Pay attention to emotions, not just words. When you are communicating with your employees, try to tune into the emotions they are conveying, rather than the words they are using. For example, if they are complaining about a problem client or raising concerns about a particularly difficult project, the underlying emotion fueling their end of the discussion is stress. Address and respond to those emotions. Once you are able to identify the emotions other people are experiencing, you get a better understanding of what you might be able to say or do to reach a desirable solution. This can be especially effective when working with customers as well. Repeating back a shortened version of what they just said to you can help demonstrate that you were listening carefully. Recognize and validate them. When it comes to improving business relationships and management skills, it is critical to communicate to employees that their opinions are not only heard, but that they are also valued. Their perspectives, ideas and concerns should be acknowledged and respected, even if they are different from yours. Avoid judgment. Although you may not agree with someone's sentiment, you can still empathize with the emotions they are experiencing. It may be a situation in which there is no solution – and that's OK. But to truly embrace your empathic side, be mindful of any judgments you are making in your head about the person you're interacting with. Pay attention to your thoughts about the other party, as well as what they're saying to you, because you may not even realize how your internal response is influencing your reaction to them. Be genuine. When exercising empathy, Wellins explained that, "It needs to translate into verbal and non-verbal behavior so that the receiver feels your empathy. And it must be expressed in a way that is sincere and authentic." Never underestimate the power of body language. Make eye contact and turn your body so it's facing them. While they are talking, nod every now and then to assure them that you are hearing what they are saying. Taking the time to improve your communication and listening skills can have a profound effect on your ability to empathize. In turn, you will be able to create stronger relationships with your employees and enhance the overall workplace environment.